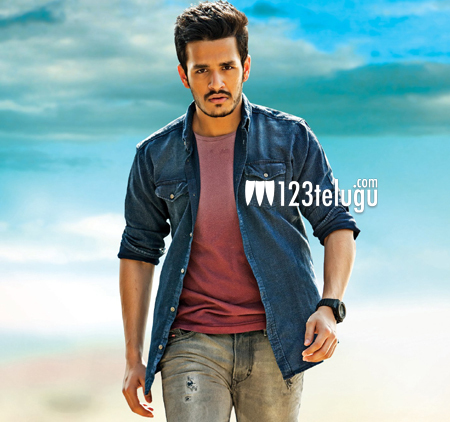 Sometime back, we had reported that Akhil Akkineni wrapped a huge schedule for his debut film. Latest update is that a new schedule is slated to kick start on the 4th of August in Hyderabad. So far, 70% of the film has been shot and the remaining part of the film will be wrapped up in another couple of months. VV Vinayak is directing this big budget action entertainer and Nithiin is the film’s producer. Sayesha Saigal is the female lead. Anoop Rubens and SS Thaman are composing tunes.